A rental application serves as a road map for screening tenants, and leads a landlord to highly qualified renters. But obtaining the information in the rental application does little good if that information is not verified. 1. Verify the identity of the applicant. It is best to do this before the property tour. If the application is completed outside your view, take steps to check that the applicant in front of you is the one who provided the information. For instance, ask a few random questions about the answers on the applicant and watch how the individual responds. 2. Review the application in its entirety looking for disqualifiers — income too low, occupants exceed legal limits, unauthorized pets and so on. If there is a mismatch, there is no need to go any further with the applicant. 3. Note whether every question is completed, and if the application is signed below the declaration that the information is true, and the consent to conduct a tenant background check. Messy, incomplete or unsigned applications generally should be rejected. 4. Run available tenant screening reports, including a credit report, and cross-reference the information in the application to the information in the report. Do the addresses match? Does the credit report appear to describe the same person? A credit report can prove the applicant’s lack of financial responsibility, list addresses that they may be hiding, or reveal if the applicant is using someone else’s identity — like a family member with the same address but better credit. 5. Review attached documentation. The specific documentation may be limited by local law, but generally includes items like pay stubs, bank records, or tax forms. Some landlords request bills or correspondence proving current or recent addresses. Does the information match the credit report? The application? Are there signs of alterations? 6. Verify income. Involve the applicant if necessary to gain access to the employer or government agency to verify the tenant’s ability to pay the rent. 7. 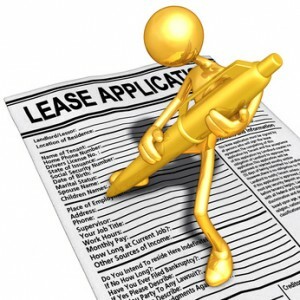 Speak with the current and previous landlord references listed in the application to rule out a chronic problem tenant.